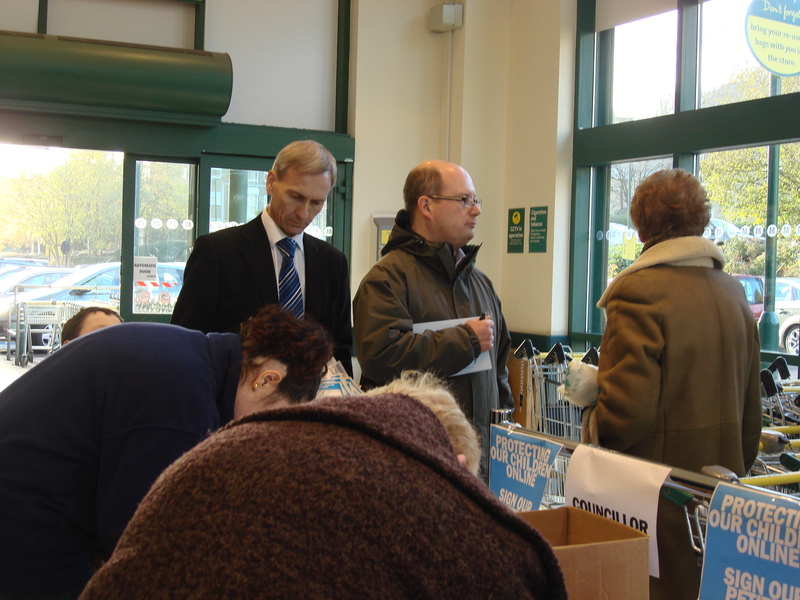 I was pleased to be able to join Ramsbottom Councillor Ian Bevan, together with other local Councillors at Morrisons Supermarket in Ramsbottom this weekend, gathering signatures for our petition – Protecting Children Online. I know that parents can’t monitor their children every hour of the day. When you’re busy at work or home, you want to be sure that they’re safe from harm. But increasing numbers are viewing inappropriate material on the internet. I was shocked to learn that research shows 81% of children aged 14-16 have viewed adult material online; but only 46% of parents have filters in place on their online material. We also need to protect children from people who use the internet to look at and share child abuse images and videos. We learnt from cases like the murder of April Jones that people often start accessing extreme material via a simple internet search – and some search terms are unambiguous – if people use them, they are looking for child abuse images. The petition is aimed at Internet Service Providers – calling on them to install automatic family friendly filters. These filters block inappropriate material and will be installed automatically throughout the home, unless an adult chooses not to. The petition was signed by hundreds of Ramsbottom residents – many of whom are parents or grandparents. I would like to sincerely thank Councillor Ian Bevan and the residents of Ramsbottom for supporting this campaign. My principal concern is that the children who attend this school should have the best possible education. The Ofsted report arising from the inspection carried out on 23rd/24th May 2012 found the overall effectiveness of the school was inadequate. The behaviour of the pupils was rated as good. The quality of teaching and the achievement of the pupils was only rated as satisfactory. The leadership and management of the school was judged to be inadequate. Ofsted gave the school notice standards had to improve. Earlier this year following a further inspection held on 9th and 10th May, almost a full year after the 2012 report, far from things improving Ofsted found that standards had deteriorated. The behaviour of pupils was now assessed as requiring improvement. The achievement of the pupils, the quality of teaching and the leadership and management of the school were all now assessed as inadequate. Not surprisingly, these findings resulted in the overall effectiveness of the school being assessed as inadequate. In the circumstances I believe the school would benefit from being changed to Academy status. I will undertake to ensure any representations Governors, staff and parents might wish to make to ministers are duly delivered but it will be on the basis that personally I do not support them. Every year Mike Weatherley M.P. 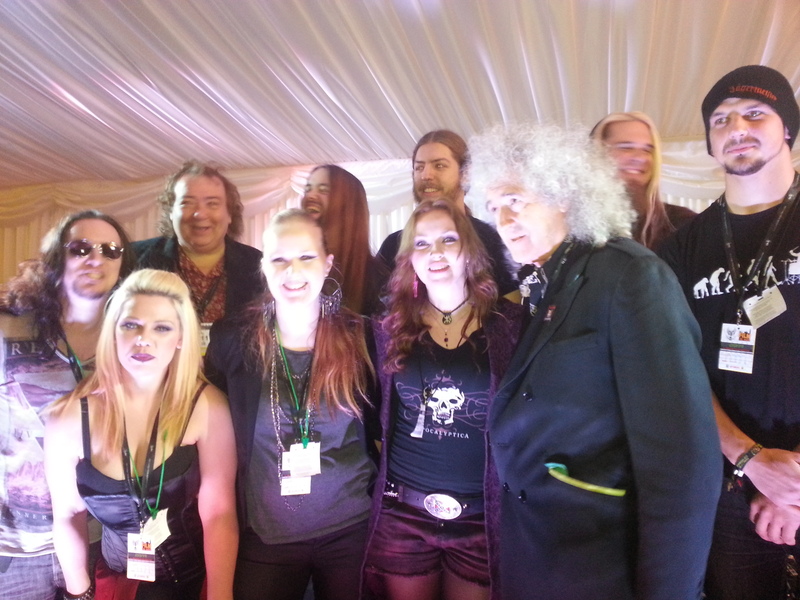 (Hove) runs a competition Rock the House to find the best musicians nominated by MP’s from their constituency. The purpose of the competition is to raise awareness of the importance of live music and the importance of intellectual property rights. Mike gives a special award (the Discretionary Rock Award ) to the Band he personally picks out from the hundreds of entries from right across the UK that have not won a specific category. In 2013 Collibus whose lead singer Gemma Fox lives in Bury were nominated by me and I am absolutely delighted that they were chosen by Mike for the special award. Having been down a few months ago to collect the award they returned last night to top of the bill at a concert on the Terrace of the House of Commons as the 2014 competition was launched. 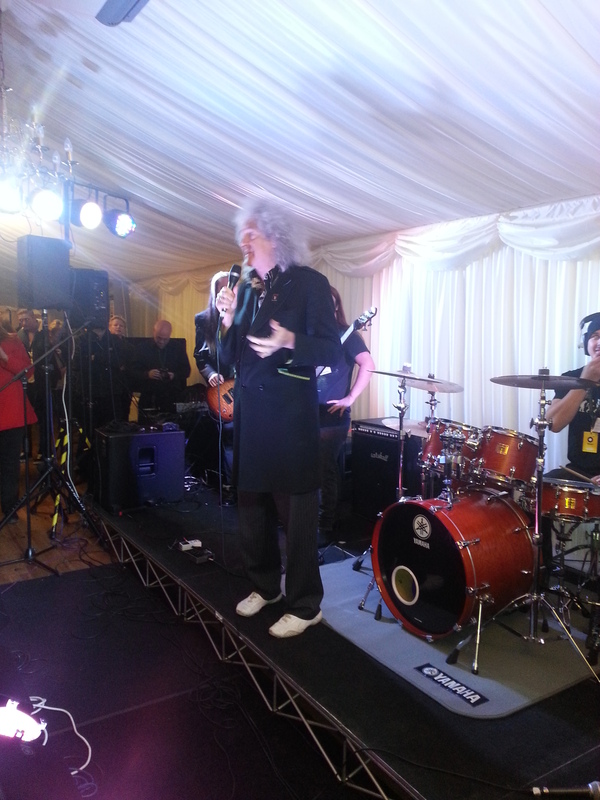 They were introduced on stage by no less than Brian May the guitarist and singer from Queen and as their website states they became the first ever Heavy Metal band to play live at the House of Commons. I wish Collibus all the very best and if you enjoy rock music, or just want to support local music please buy their first album The False Awakening. Find out more about this great band by visiting their website here. 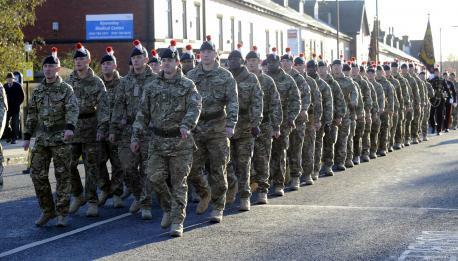 To mark the safe return of the 1st Battalion, The Royal Regiment of Fusiliers from its final tour of Afghanistan, a Homecoming Parade took place in Bury town centre yesterday – Tuesday 19 November. Hundreds lined the streets as the soldiers marched from Wellington Road near the old Barracks, and headed along Manchester Road, past the Town Hall on Knowsley Street, Angouleme Way, Silver Street, Bolton Street, Haymarket Street, and back down Knowsley Street. The Mayor took to the stand with the High Sheriff and RRF officers to take the salute. “That this House notes concerns about the Government’s defence reforms in relation to whether its proposals for the reserve forces will deliver either the anticipated cost savings or defence capability: and urges the Government to delay the disbandment of regular units until it is established that the Army Reserve plan is viable and cost- effective”. On both occasions the motion was passed. Despite those votes in Parliament the plans have been proceeding and so a Group of is have sought to amend the Defence Reform Bill. The proposed amendments do not seek to wreck the Defence Reform Bill as the Secretary of State has said they are proceeding with the changes. It is clear however that questions remain about how the plans to recruit more Reservists are progressing. All the proposed New Clause seeks to do is postpone any further implementation of the plans until a report detailing their viability and cost effectiveness has been presented to and approved by Parliament. The support the Fusiliers receive in Bury is demonstrated many times throughout the year on Gallipoli Sunday, on Remembrance day and on Homecoming Parades. I will continue to do all I can to stand up for the Fusiliers and on matters of Defence, Country must come before Party loyalties. Back in July, David Cameron said that he wanted to do more to protect children online. In the summer, the Conservative-led Government took some important steps to help parents. Internet service providers (ISP’s) agreed to introduce family friendly filters, which are installed automatically in the home unless a parent chooses otherwise, and stop children from looking at inappropriate material online. But when it came to stopping people accessing child abuse images and videos through internet searches, the search engine companies said that nothing could be done. The Conservatives refused to accept that. Over the past few months the Government has worked closely with Google and Microsoft – and we’ve made important progress. Today they have set out a number of measures to block child abuse images and videos. No illegal child abuse material will be returned for 100,000 search terms. This is encouraging – but if the internet companies don’t continue to make progress as a Government, we will not hesitate to take further action. We will do all that’s necessary to protect our children. Please visit http://www.protectingourchildren.co.uk for more details and to sign our online petition. Today sees James Wharton’s European Union (Referendum) Bill reach its report Stage in the House of Commons. Many people doubted the Bill would ever get even this far but there is no doubt this is the stage when a Private Members’ Bill is at its most vulnerable. Any member can suggest an amendment to the Bill and indeed dozens of amendments have been tabled. Not all have been selected by the Speaker for debate but those which have been split into four groups for debate. The European Union (Referendum) Bill commits a future Government to an in-out referendum on whether the UK should stay in the EU before the end of 2017. Many people feel that the EU has been heading in a direction that they never signed up to. If the Conservatives win the next General Election there will be an in-out referendum before the end of 2017. Some have claimed that it is pointless trying to pass a Bill which seeks to bind the next Parliament but this Bill does not seeks to do that. It does make a provision which extends into the next Parliament but that happens all the time in Parliament. If this Bill becomes law there is no legal impediment to the next Parliament repealing it. Clearly the Conservatives will not repeal it as we are working so hard to get it on the Statute book. The question for the Labour and Liberal Democrats is will they repeal it?